543 Richmond Condos will be 15 storey tower with 476 mixed units. Units will be a mix of one bedroom, one bedroom plus den and two bedrooms. The building will feature 8 storey podium that will contain two wrap around balconies on the second and seventh floors. 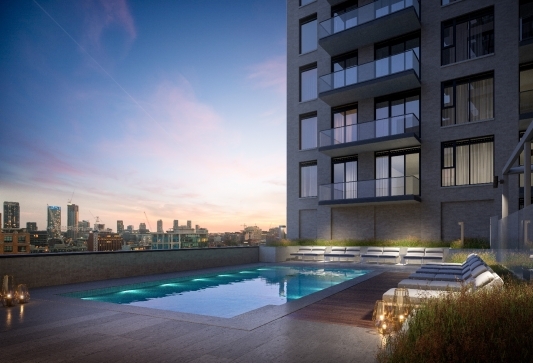 Condos will have units starting from the $500s. 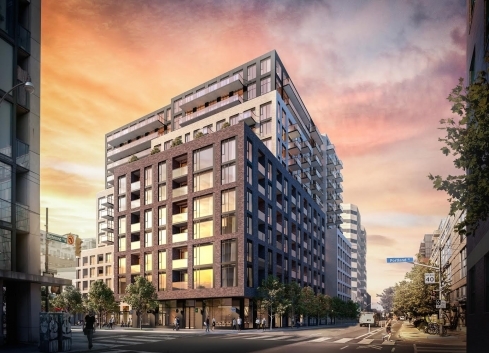 The estimated completion date for 543 Richmond Residences is still unknown. Steps from 24 hours Transportation, Highway, Airport Access. Find calm away from the commotion. A chic sanctuary that says you’ve moved up. But you don’t have to move on. 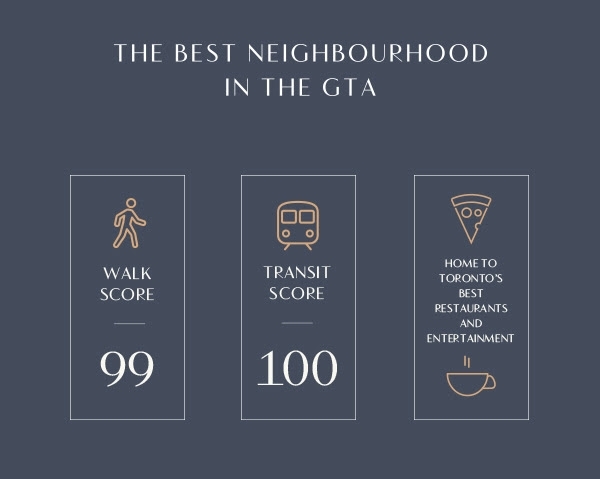 Dine on King, indulge on Queen and then find your way home. 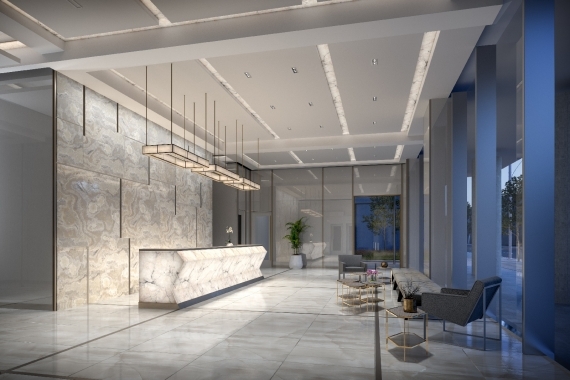 Steps from the Entertainment District, yet one step removed from the bustle, the best of both worlds awaits at 543 Richmond. 9’ smooth ceilings, Laminate Flooring, Quartz Kitchen Countertops, Custom Designed Kitchen Cabinetry, Stainless Steel Appliances, Roller Shades.